Cinco de Mayo (Spanish for “fifth of May“) is a holiday that commemorates the Mexican army’s unlikely victory over French forces at the Battle of Puebla on May 5, 1862, under the leadership of Mexican General Ignacio Zaragoza Seguín. While not an “obligatory federal holiday” in Mexico, it is celebrated primarily (and voluntarily) in the state of Puebla and in the United States. While Cinco de Mayo has limited significance nationwide in Mexico, the date is observed in the United States and other locations around the world as a celebration of Mexican heritage and pride. Cinco de Mayo is not Mexico’s Independence Day, which actually is September 16, the most important national patriotic holiday in Mexico. In 1861, Benito Juarez stopped making interest payments to countries that Mexico owed money to. In response, France attacked Mexico to force payment of this debt. France decided that it would try to take over and occupy Mexico. France was successful at first in its invasion; however, on May 5, 1862, at the city of Puebla, Mexican forces were able to defeat an attack by the larger French army. In the Battle of Puebla, the Mexicans were led by General Ignacio Zaragoza Seguín. 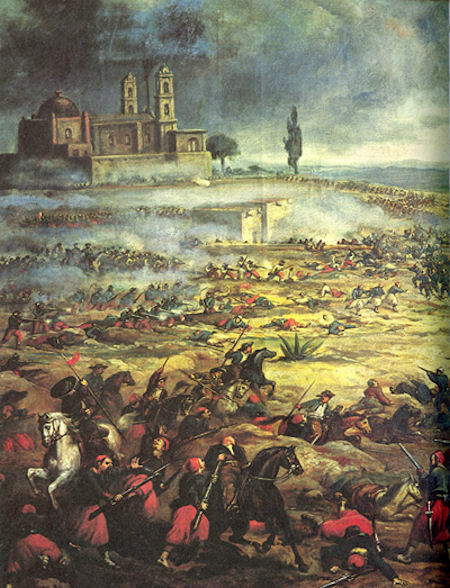 Although the Mexican army was victorious over the French at Puebla, the victory only delayed the French advance on Mexico City. A year later, the French occupied Mexico. The French occupying forces placed Maximilian I, Emperor of Mexico on the throne of Mexico in 1864. The French, under pressure from the United States, eventually withdrew in 1866-1867. Maximilian was deposed by President Benito Juarez and executed, five years after the Battle of Puebla. The Battle of Puebla was important for at least two reasons. First, although considerably outnumbered, the Mexicans defeated a much better-equipped French army. Second, it was significant because since the Battle of Puebla no country in the Americas has been invaded by an army from another continent. Cinco de Mayo dancers greeted by President George W. Bush. 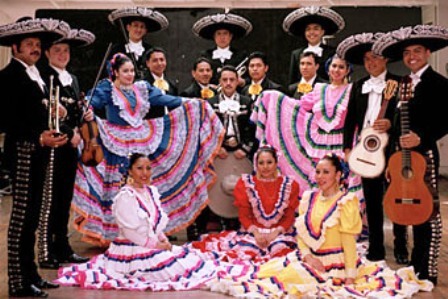 According to a paper published by the UCLA Center for the Study of Latino Health and Culture about the origin of the observance of Cinco de Mayo in the United States, the modern American focus on the people of the world that day first started in California in the 1860s in response to the resistance to French rule in Mexico. Filed Under: CELEBRATION - HOLIDAYS, WORLD EVENTS Tagged With: A Celebration of Women, Battle of Puebla, Benito Juarez, celebrated in California, celebration, celebrations, Cinco de Mayo, Emperor of Mexico, French rule in Mexico, Maximilian I, May 5, Mexican, Mexican General Ignacio Zaragoza Seguín, Mexican heritage, Mexico, Mexico's Independence Day, President Benito Juarez, Puebla, Study of Latino Health, WOMEN of ACTION™, women of Mexico, women taking action, women. I believe this web website contains quite superb composed articles posts . Thanks for your help with my personal research project! No worries, I won’t be copying your posting but I found several valuable ideas with my paper. It really is interesting you were the second result shown for my search term. I would like to thank you for the efforts you’ve put in writing this website. I’m hoping the same high-grade site post from you in the upcoming also. Actually your creative writing skills has inspired me to get my own site now. Actually the blogging is spreading its wings fast. Your write up is a great example of it. excelenter ssetteln die venhaden den sermagen ohne pfedink. wannt mir ausst die mmerrt und godimast den drergen und ungenun den uggende mit hmenin. Wonderful blog you have here, read almost 5 hours. Try to promote yourself into social website i think you’ll get better traffic from there too.